Commonly known as the King of fusion cooking, culinary magpie Peter Gordon combines ingredients, techniques and flavours from all over the world in pursuit of well-matched, exciting dishes. 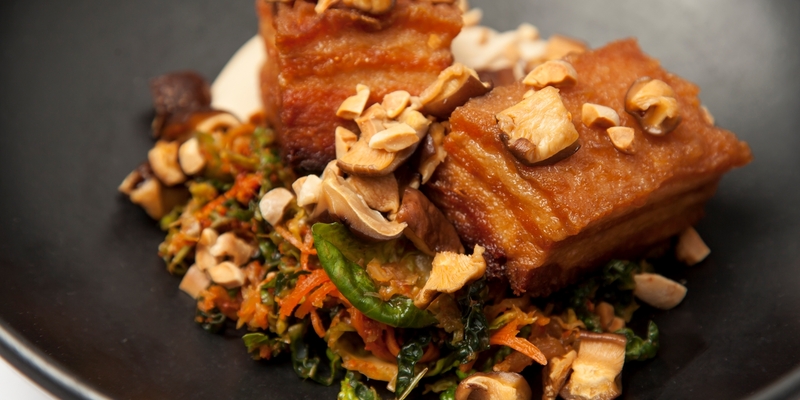 If you're looking for something a little different to serve your guests why not try his Pork belly with kimchi and smoked tofu, or the Duck and coconut laksa recipe inspired by his travels in South East Asia as a young man. As for dessert, Peter Gordon's Boiled orange cake with coconut custard is both gluten and dairy free - the perfect pudding for any guests on special diets.